A VELscope ® Oral Assessment is a simple and painless screening that provides the best chance to find any oral abnormalities at the earliest possible stage, before they become cancerous. This technology improves the ability to identify suspicious areas at their earliest stages, before they are apparent to the naked eye. 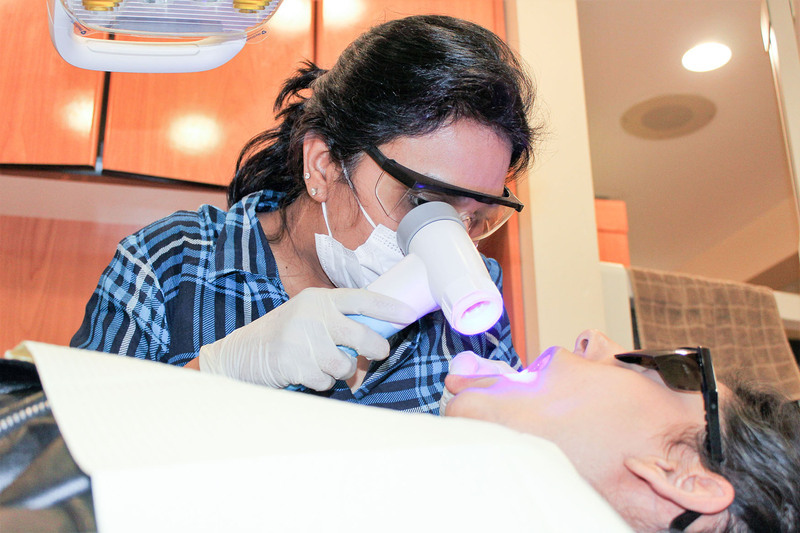 Early detection of pre-cancerous tissue can reduce or eliminate the potentially disfiguring effects of oral cancer, and possibly save your life. If you have symptoms that suggest oral cancer, our dentist will perform a thorough examination of your mouth, throat, and neck to check for any abnormalities, indicating signs of cancer. If you have any concerns about your oral health and would like our dentist to perform an examination, please contact us to book an appointment.